To assess muscle passive stiffness in medicated Parkinson’s disease patients using myotonometry. Women with Parkinson’s disease (PD) (n=8) and healthy matched elderly women (controls) (n=10) (mean age: PD, 77±3y; controls, 77±4y). Passive stiffness of relaxed biceps brachii (BB) muscle was measured using myotonometry. Additionally, surface electromyographic and mechanomyographic signals were recorded from the muscle at rest, and amplitude of those signals was analyzed offline. The values of BB muscle passive stiffness were significantly (P=.004) higher in PD than in the controls, with a statistically significant influence of parkinsonian rigidity score (Unified Parkinson’s Disease Rating Scale) on intergroup differences (P<.001). The Spearman correlation coefficient ρ value showed a significant (P=.005) positive relationship (ρ=.866) between the parkinsonian rigidity score and passive stiffness values of BB in PD. 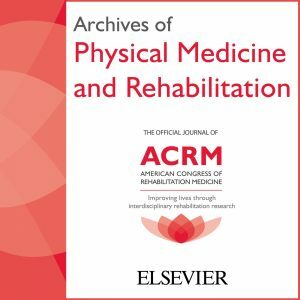 The groups did not differ significantly in the electromyogram amplitude (P=.631) and mechanomyogram amplitude (P=.593) of the BB muscle, and values of these parameters did not correlate significantly with rigidity score (P=.555, P=.745, respectively) in the patients. Myotonometer is a sensitive enough tool to show that PD patients have higher muscle passive stiffness than healthy controls.